In May 2011, at the Torrance courthouse in southern California, while fighting an attempted murder case with gang and gun allegations, rather than plead guilty to a set amount of years in prison, my client and I decided we would take our chances with a jury trial. For most defendants, going to trial in Torrance is not an easy decision to make because of the notoriously conservative pool of jurors drawn from places like Palos Verdes Estates, Rolling Hills, and the beach cities. However, when you’re looking at 50-years-to-life in prison, sometimes you don’t have that many options to begin with. Plead to 33 years while doing 85 percent of your time in prison? For a defense attorney, that’s not an easy sell to make to a 19-year-old young man who can barely think past right now. So we decided to take it to the box, as in the box in which the 12 jurors would be sitting who were going to decide his fate. After several days of aggressively cross-examining witnesses who flip-flopped back-and-forth with their stories regarding who and what they saw, including the victim himself who was unable to identify my client as the shooter, the jury eventually began deliberating, only to return a couple of days later with the announcement that they were hopelessly deadlocked. A hung jury. However, the deputy district attorney decided to continue his pursuit against my client and we were headed towards another jury trial. In the meantime, my client and I realized that it was in his best interest to try to settle the case, to take a deal. 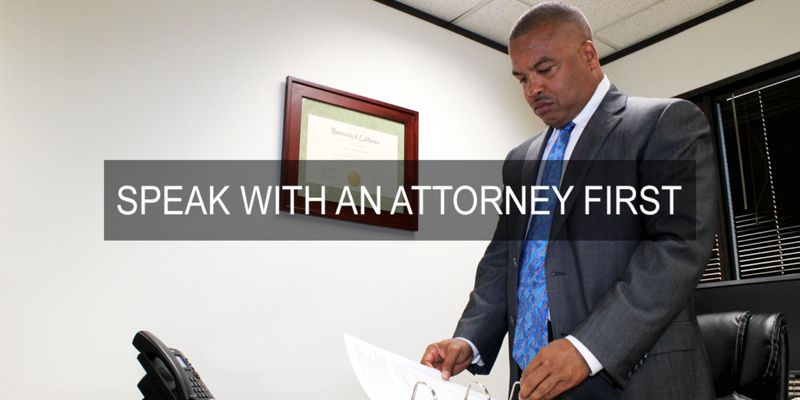 First we offered a deal involving probation and time served, which meant my client would get out of jail immediately. I figured that wouldn’t fly on such a serious case, and certainly not in Torrance, but we gave it a try. It was rejected. Next, we offered up probation along with an additional term, something called “joint suspension,” which meant my client would have ten or twenty years hanging over his head while he was on probation; if he messed up, he’d be off to prison for ten or twenty years. But the DA wouldn’t agree to that either. My client made it clear that he would only take a deal if it involved less than ten years while earning half-time credits; for example, on a ten-year sentence, he would serve only five years. If he couldn’t get that, he was willing to endure another jury trial. So we kept coming at it from different angles, offering various deals to the district attorney that were rejected, while the DA countered with offers that didn’t meet our terms either. One Friday in late July, I drove out to the county jail at Wayside near Magic Mountain to visit my client and came up with an idea that involved nine years at half-time. However, I knew that the DA wanted my client to plead to a particular strike, which happened to involve doing your time at 85 percent instead of half-time. The strike itself was acceptable to us, the 85 percent time was not. Our priority was not in trying to prevent my client from getting a strike, we knew that wasn’t realistic on an attempted gang murder case. Our priority was getting the half-time. We needed to find a particular kind of strike, one which was serious, not violent. Why is that important? Because if you plead to a violent strike, you will do your time at 85 percent and end up in prison a much longer time. With a serious strike, you can earn half-time credits. On the way back from Wayside, I called the DA using my hands-free device (of course). I told him about my idea, but we had to figure out a way to make it happen. So I started researching the issue, checking the various Penal Code sections involving strikes, consulting with my associates and colleagues, checking various manuals and software applications. In court the next week, the DA and I went back and forth for a while trying to satisfy my client and his boss. We almost gave up, and I started thinking about a date when I could do the trial. Finally, we found a Penal Code section which would allow the DA to get his strike, satisfy himself and hopefully his boss, and yet my client would be able to obtain what he wanted–a serious but non-violent strike. But the DA’s boss still wasn’t happy with our proposed disposition. We decided to consult with the judge, maybe his position of power and influence could be used to persuade everyone to get on board. And that’s exactly what happened. The DA’s boss finally relented. My client ended up pleading to assault with a deadly weapon with a gang allegation, and the disposition did not involve a violent strike. He was going to earn half-time credits after all. My client will be home in a couple of years, after he has served 4.5 years on an attempted murder case where the victim was shot six times! Remember, when you are negotiating, as opposed to when you are engaged in a jury trial, it’s not always about trench warfare, about a fight to the death. And it should never be about one’s ego. When your ego stands in the way, sometimes you end up hurting your client more than helping him or her. Negotiation is not a death-match. Sure, you want to negotiate from a position of strength, which is what we obtained with the hung jury. Sometimes, though, you have to give up something in order to get something. You’re not always going to get everything that you want. You just make sure that you get what is most important. In this case, that’s what we achieved, and the bottom line is that my client will be in prison for about 24 additional months, with a fire-camp recommendation. And he was very happy with that outcome.